A unique traditional style canvas print with a printed frame, the canvas features a thoughtful blonde woman at the dinner table surrounded by a feast with a single red rose between her fingers. 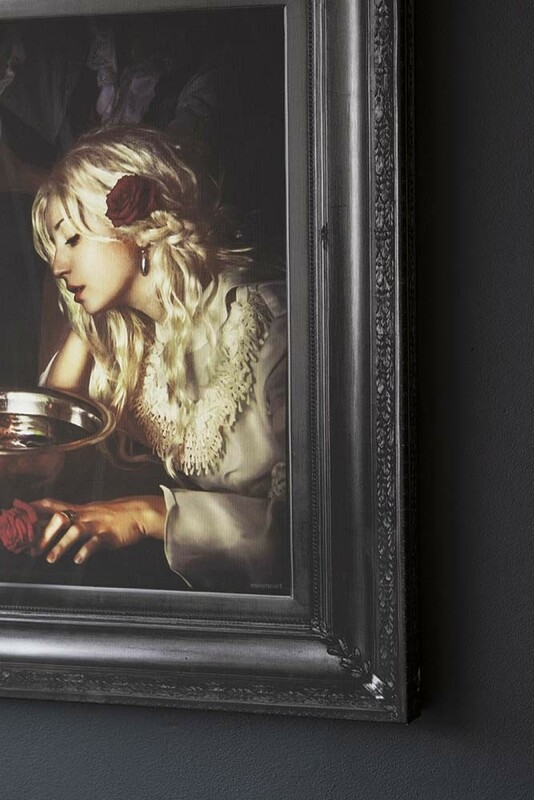 An interesting art print the Red Roses Canvas makes you wonder what the woman is thinking. Is she mournful? Or just hangry?! We’ll let you be the judge! The Traditional Lady Canvas With A Red Rose measures H66cm x W81.3cm x D40mm and is printed on a Fine Quality Canvas. Why We Think You Will Love The Lady With Red Roses Canvas. If you love traditional prints then the Red Roses Printed Canvas Print is for you! 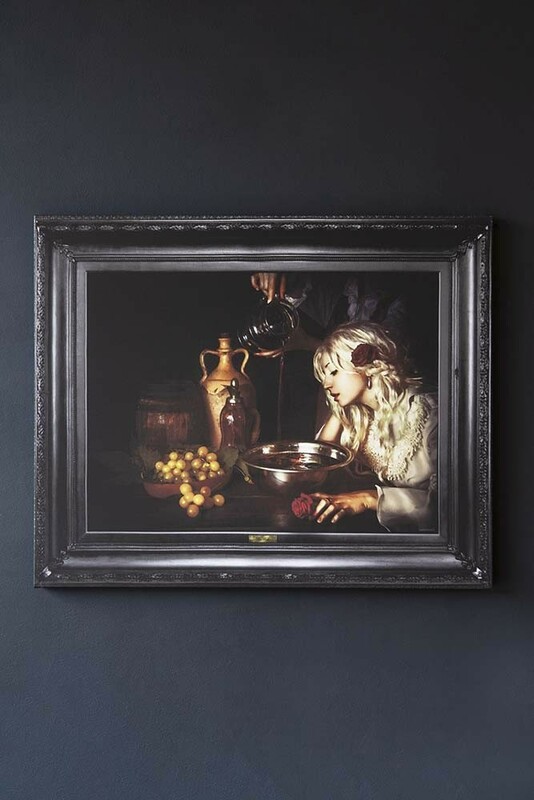 A great way to add grandeur and a sense of history to your homes, art canvas’ like this will spark the imagination. In fact, we think it’s hard not to get lost looking at this Lady Canvas wondering more about the woman and her story. The great thing about canvas’ and art prints is that they can go just about anywhere in the home and really transform your space. However, we really love it when artwork is hung in unexpected places or part of a quirky wall display or picture wall. So, get inventive! Hang this canvas in your hallway wall art display, prop the print on the top of your dresser next to your quirky ornaments and decorative mirrors. Let your imagination run wild and don’t forget to share your picture wall display with us at Rockett St George - #rockettstgeorge.